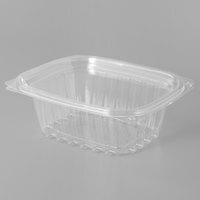 Some of our eco-friendly deli take-out containers even come with dividers, so you can display premade lunches at your grab-and-go counter. 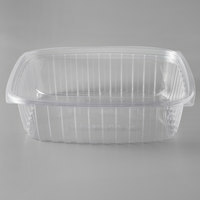 Choose from dome lids or flat designs that are easier to stack in your merchandiser. 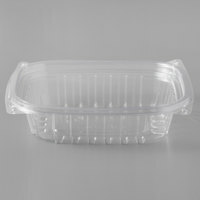 You can find hinged or unhinged lids to suit your packaging preferences, too. 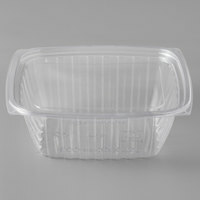 As a bonus, these products are made of PET or PLA plastic, which won't harm the environment when they're thrown away. 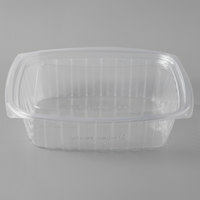 Also make sure to check out other great items from Choice, D&W Fine Pack, Eco Products, Fabri-Kal, Genpak and Solo Bare. 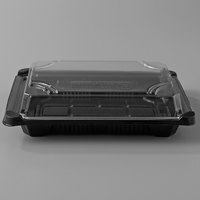 Our eco-friendly deli take-out containers come in small, medium, or large options, so you can offer customers various portions. 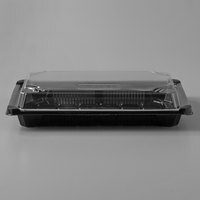 There are even some containers that are customizable, and you can advertise your company's logo and name right on the carton. Your customers will also appreciate the eco-conscious materials, which can be a marketing point for your business. 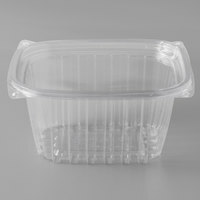 Our take-a-number dispensers, deli tags, and deli cases are other great additions to your supermarket or deli where you sell pre-packaged foods. 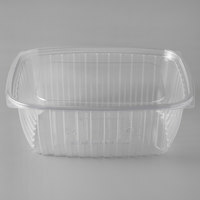 If you're wondering where to buy eco products eco-friendly, compostable deli take-out containers, we have a large selection of eco products eco-friendly, compostable deli take-out containers for sale at the lowest prices.